The latest Prima Klima EC fan is very economical and generates at the same time a good pressure. 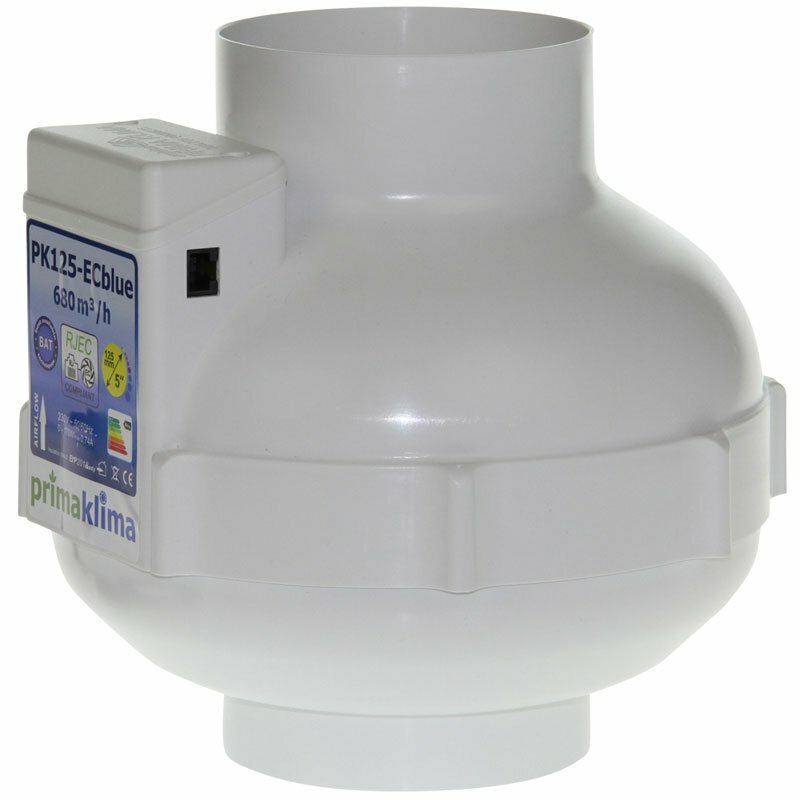 The new development by Prima Klima is a fan with a port for an external climate control device or a speed controller. These controllers, e.g. 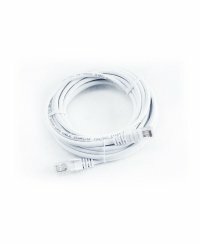 from GrowControl, are easily connected to the fan via a common RJ45 network cable. 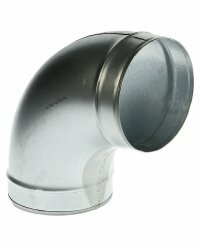 A pipeline length of 50 meter is no problem. In case that there is no controller connected, the EC fan runs on full power. This also happens due to the emergency operation function, in case that the controlling device fails. The fan revolution can be adjusted via a potentiometer inside the housing. To do so, just untighten the two screws and remove the cover. When the revolution is reduced, no power loss (e.g. heat or humming) occurs. Thereby the fan saves up to 70% energy in comparison to the AC fans. The fan motor sends out a revolution signal, which can be processed and indicated by compatible controllers, e.g. by Growcontrol or Prima Klima. 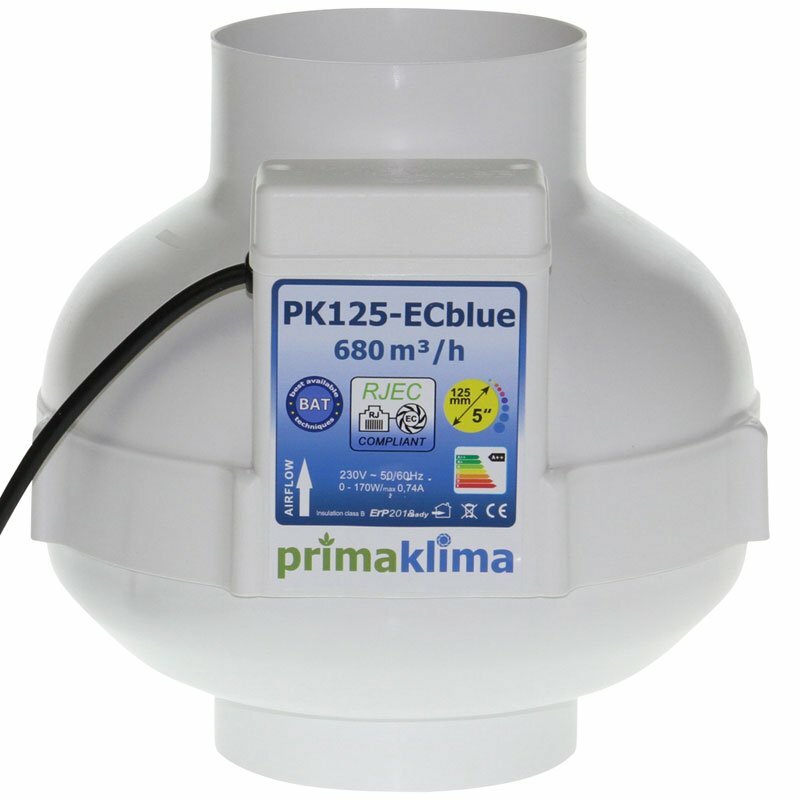 The Circular in-line fan EC blue has a German ebmpapst RadiCal-impeller inside. 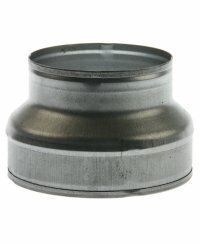 Both radial impeller are equipped with rear-facing wings, which allow for a strong airflow, even with depression, which can occur when a filter is used. The motors contain a maintenance free and durable precision ball-bearing, a thermal safety-switch, and are revolution speed controllable. The fans run with an extraordinary low noise emission and excel the energy efficiency norm ERP2015. Connection and regulation technology are situated in the high-quality connection box. 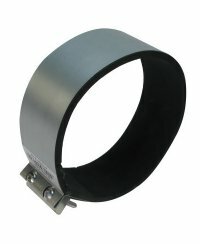 Stable mounting straps enable a perfect positioning in the room. Attention: EC-fan only work in conjunction with one of these speed controllers!